When you need professional and reliable siding installation you can always rely on Pro Exteriors. 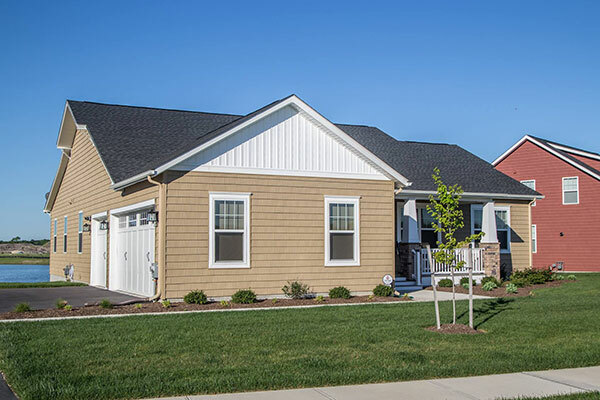 We have been installing a range of siding types on homes throughout Delaware & Maryland area since 1999. Pro Exteriors is committed in delivering excellent quality siding to extend the life of your home while adding color and personality to it. Siding was initially introduced in the late 1950’s and has become an elegant and environmentally friendly choice of every homeowner. Installing siding to your home can save you a great deal of money over many years of thorough use. Pro Exteriors understands the important role the siding does to your home, and we are here to ensure that our fully-licensed, and highly trained team will only install top-of-the-line materials from the trusted siding manufacturer like James Hardie, an assurance that you get the world’s best-selling fiber cement products from the most professional Delaware siding contractor. We are also a proud owner of the CertainTeed Master Craftsman accreditation allowing us to offer the widest selection of vinyl siding at excellent prices, and we provide Lifetime Workmanship warranties to all of our clients, giving every homeowners the security that their home deserves. Improved curb appeal and increased property value – We have variety of styles and colors that would equal your home’s overall design. This is a guaranteed technique to heighten the value of your property. Reduce the long-term preservation costs of your exterior – Siding upholds a beautiful finish over time, and unlike many other materials, it requires zero painting, this means no more scraping or painting wood shingles to protect the beauty of your home. Lower your monthly heating and cooling bills – New siding creates an insulating barrier between conditioned indoor air and outdoor air resulting in less heat exchange and less energy being used to heat or cool your home.This will give you a remarkable decrease in both heating and cooling costs. With Pro Exteriors, you are guaranteed to a finished home improvement project on time, on budget, and to your complete satisfaction. Call us at (302) 664-1700 or fill out our Request Form to get a free estimate.